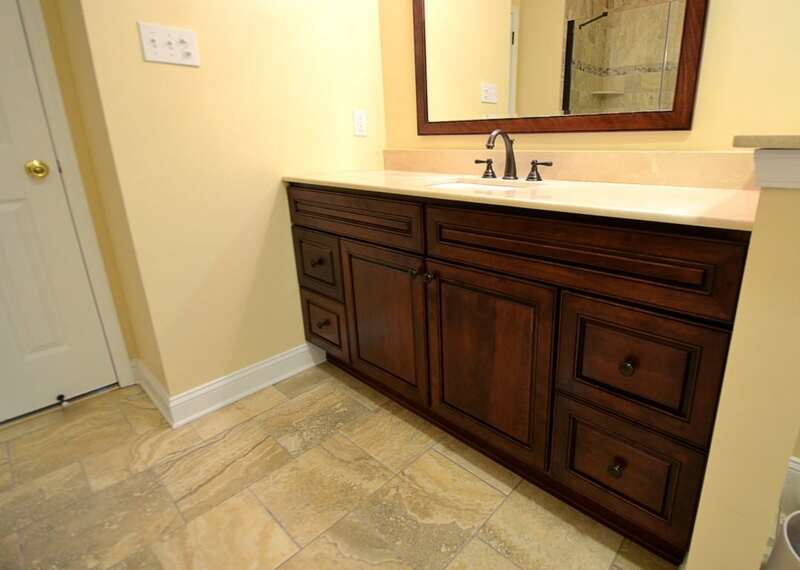 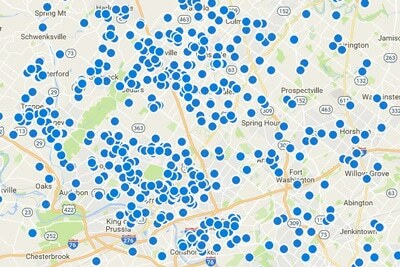 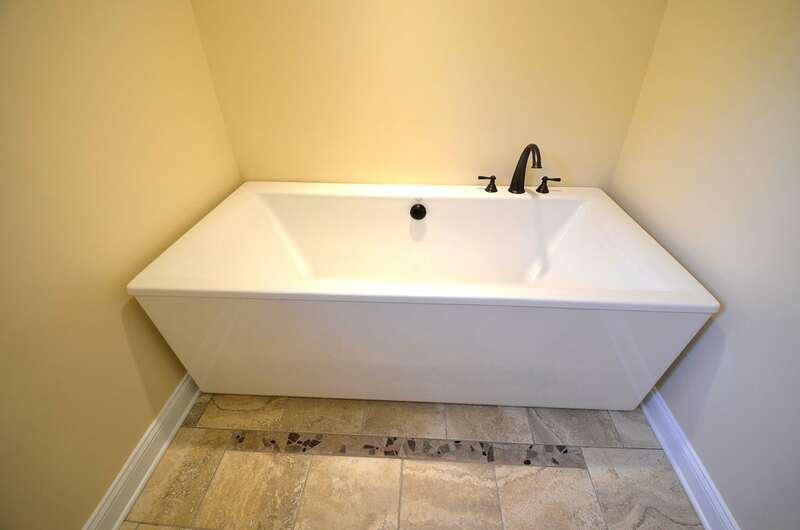 Lansdale Bathroom - Volpe Enterprises, Inc. 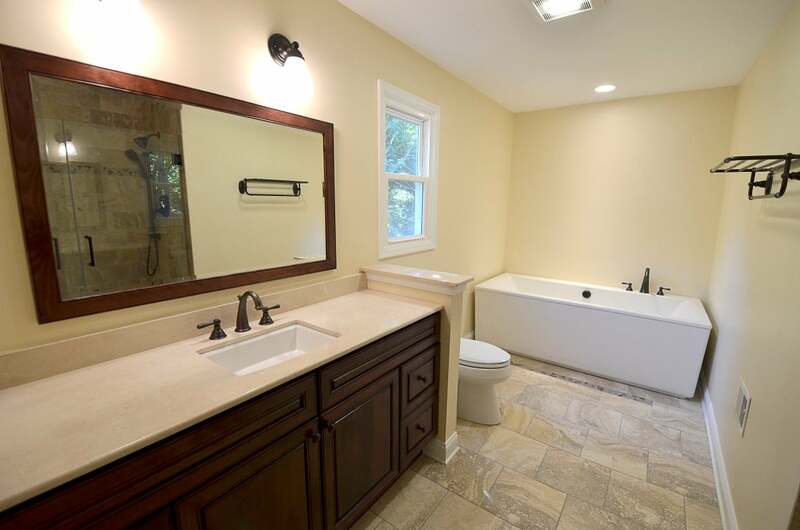 Here is an example of a classy and modern full bathroom. 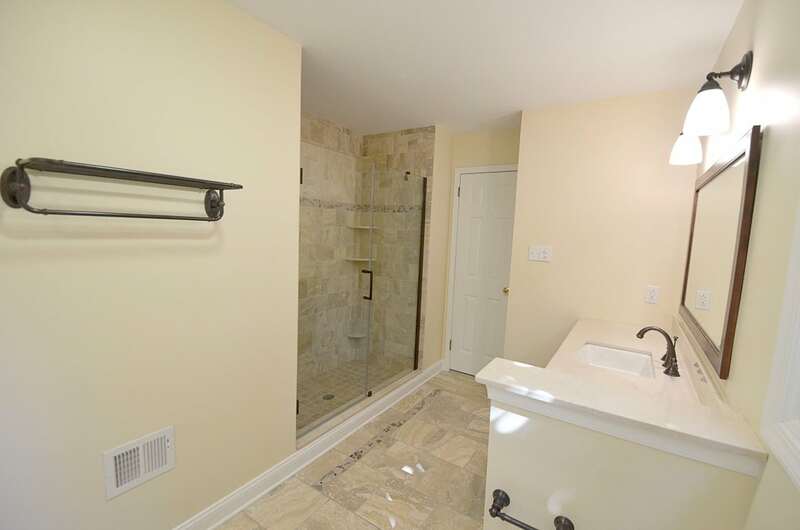 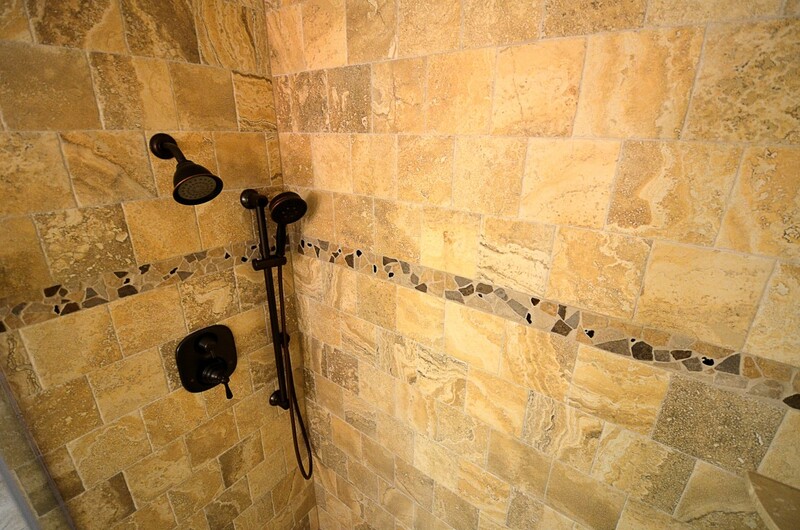 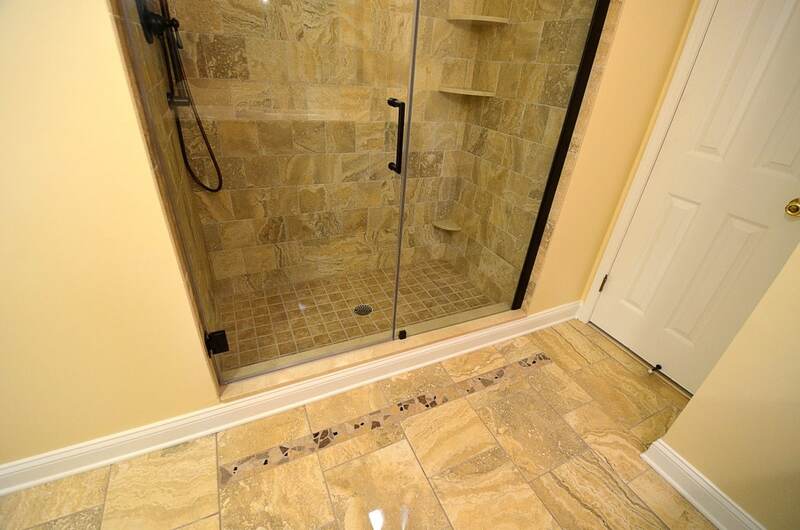 This spacious bathroom will allow you to take a nice long bath in a free standing soaking tub or a shower in this roomy custom shower all tied together with accent tiles. 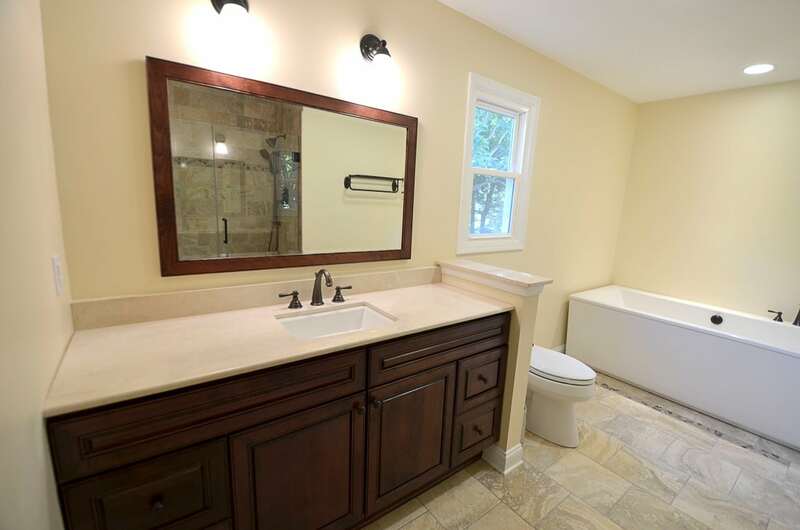 A very warm and relaxing feeling is the vibe this large bathroom puts out.